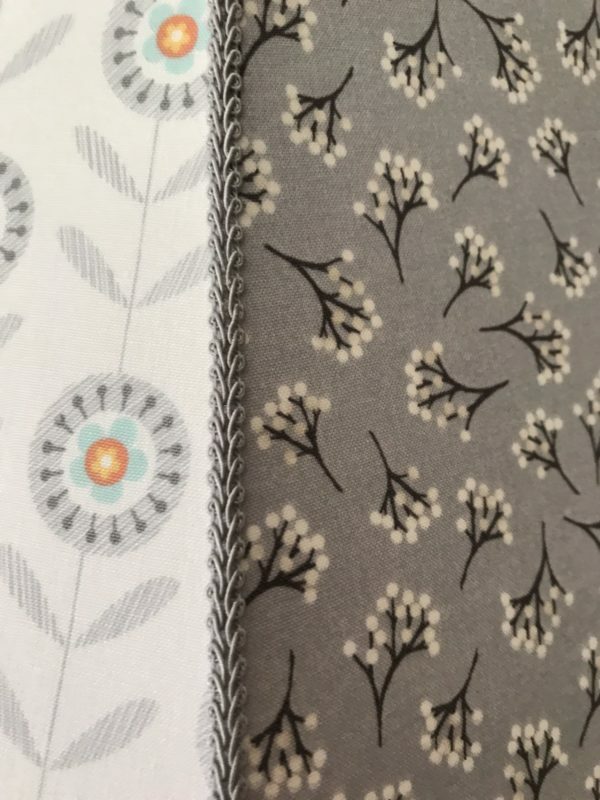 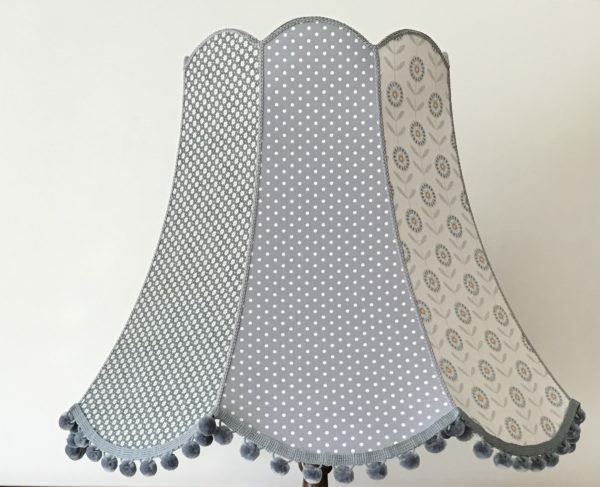 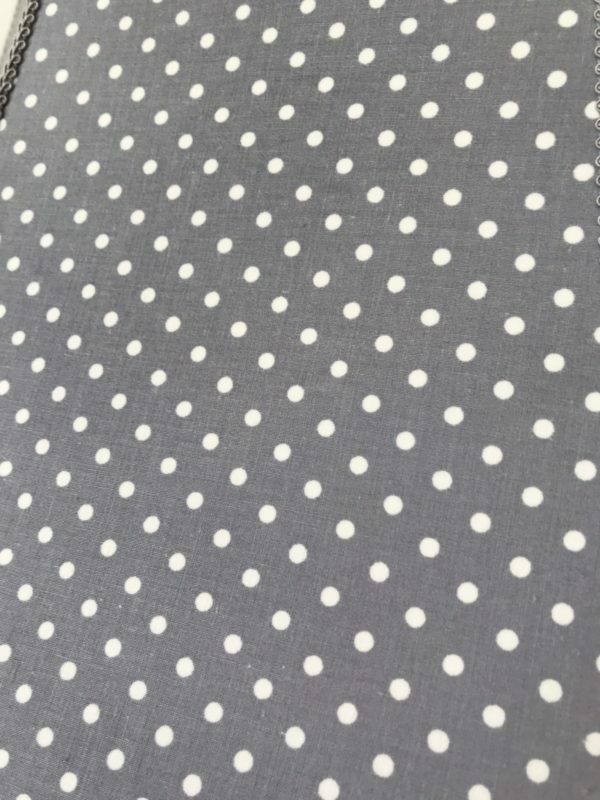 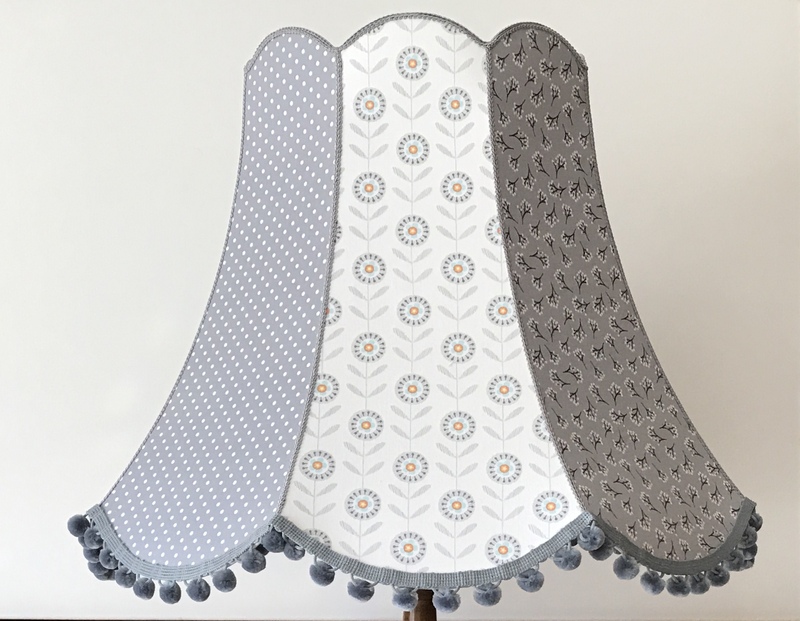 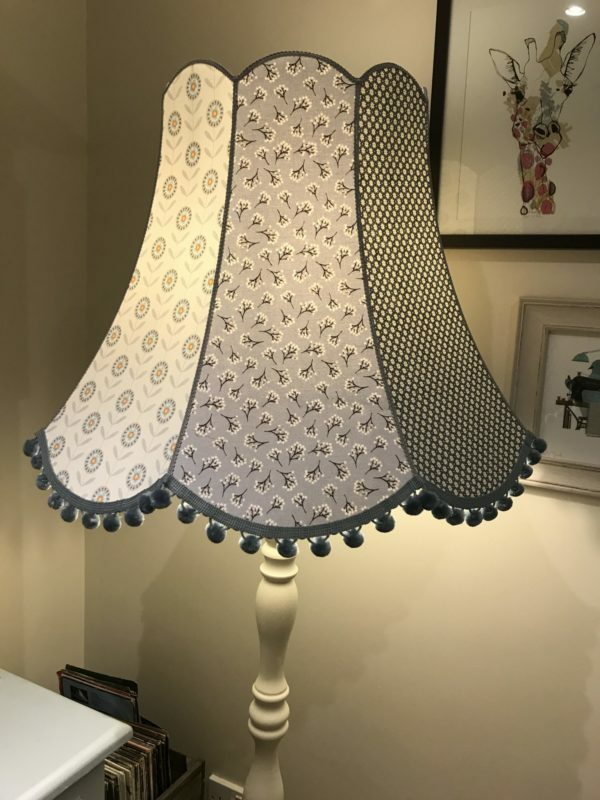 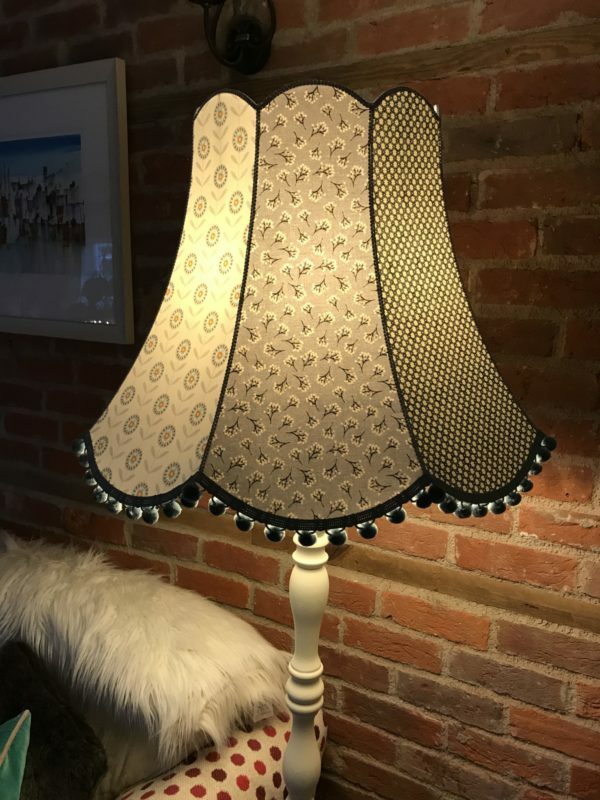 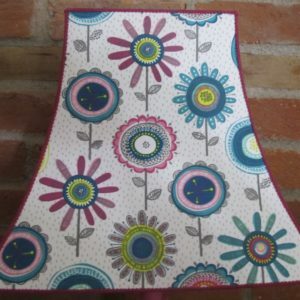 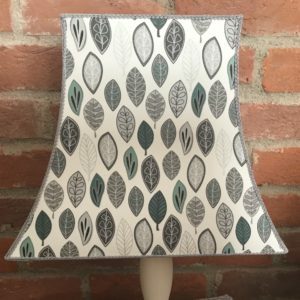 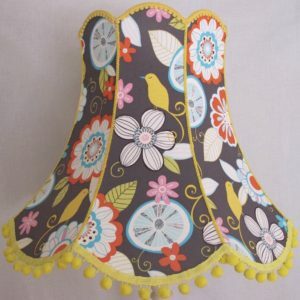 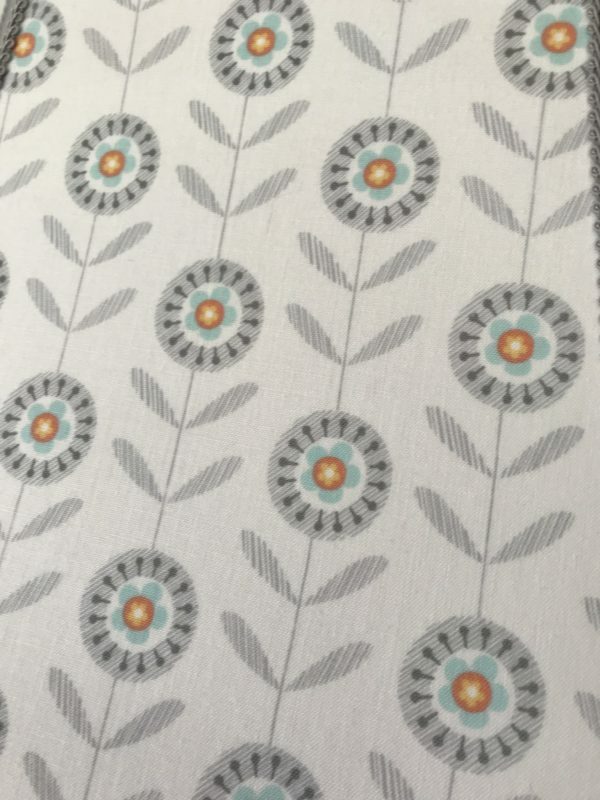 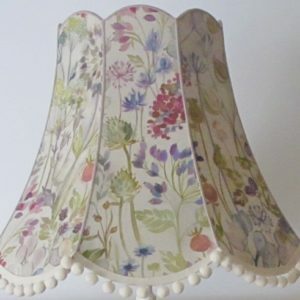 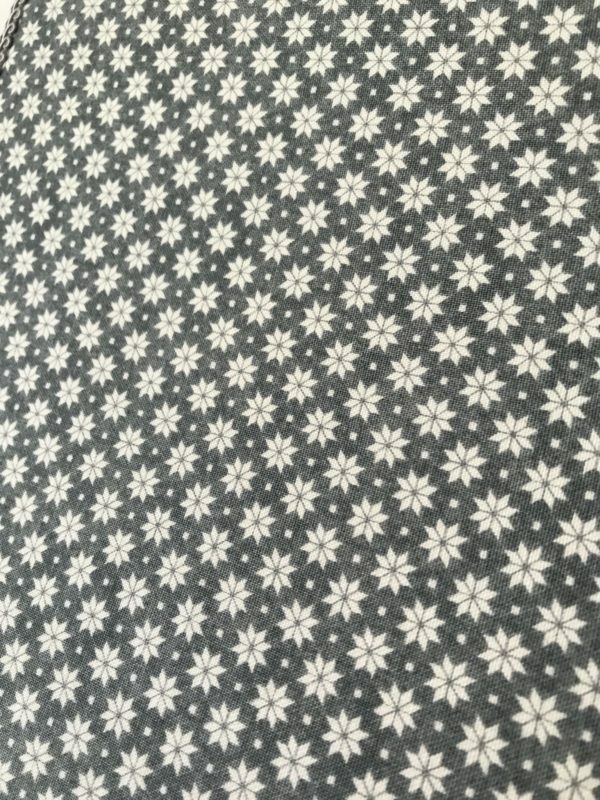 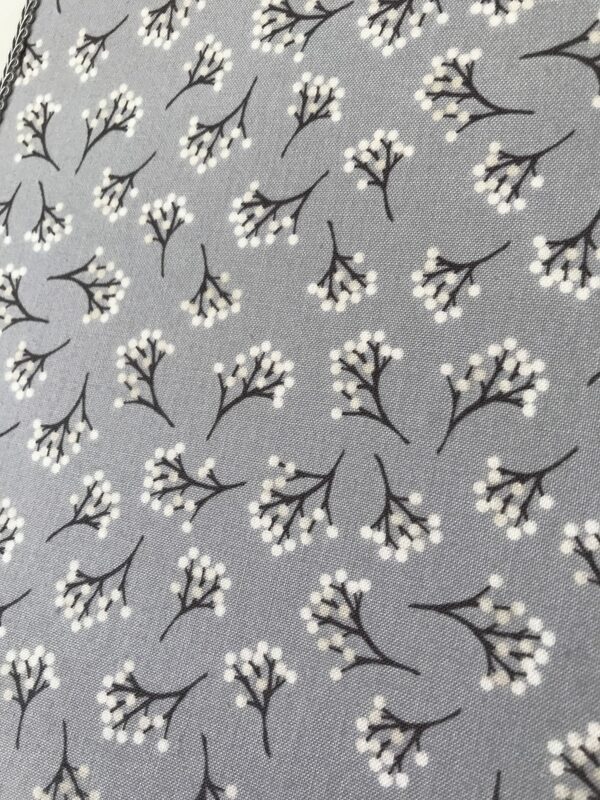 This dusky grey lampshade combines 4 fabrics..grey flowers with orange and blue, a polka dot, white berries on black stalks and star flowers on a medium grey background. 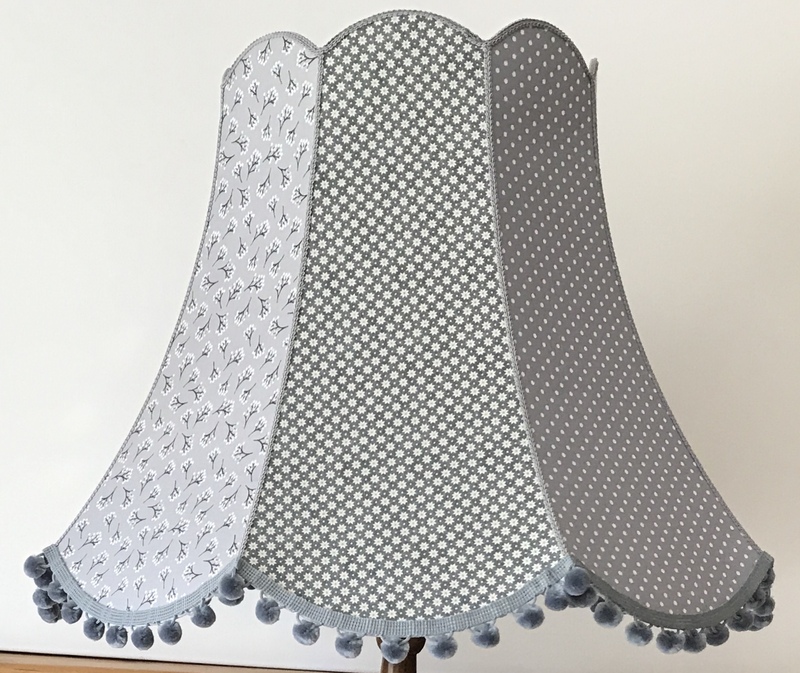 If you like cool shades of grey then this is the one for you! 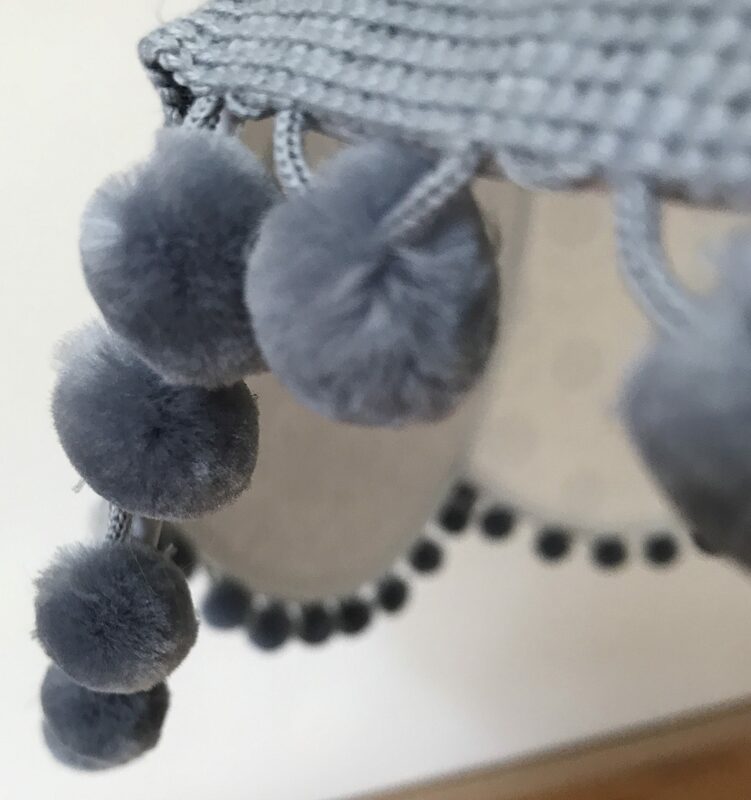 Edged with grey scroll braid and trimmed with grey pom poms.